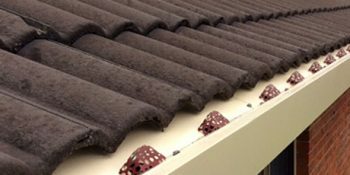 Home / Blog / What’s so special about COLORBOND® guttering? What’s so special about COLORBOND® guttering? Easy Fall Guttering provides the best solutions to all of your guttering woes. The Easy Fall Guttering System is guaranteed to solve incorrect fall, the biggest problem of guttering. To learn more about how our patented system works, call us on 1800 897 444 and request a free quote today. Gutter, fascia and downpipes may not be a noticeable feature in your home but they fulfill an important function. They protect your abode from storm damage, preventing water and moisture from destroying your walls and foundation. As the leading authority in guttering Sydney wide, Easy Fall Guttering uses only the best material for our gutters, gutter guards, and downpipes— COLORBOND® Steel. 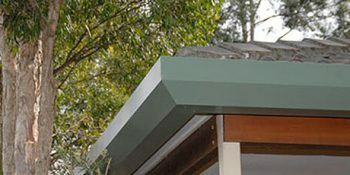 Why Easy Fall uses COLORBOND® Steel for our Sydney Guttering? For more than four decades, COLORBOND® Steel has dominated the industry to become Australia’s favourite steel building material for a good reason. It is the most versatile building material currently available in the market. The technology incorporated in this coated steel material enables it to be long-lasting and resilient to all kinds of weather conditions yet still stylish and lightweight. What sets COLORBOND® Steel Guttering apart from other materials? 1. COLORBOND® Steel is made specifically for Australian climate. has been created and assessed using Australian weather conditions. 2. COLORBOND® Steel offers protection against bushfires. Bushfires are a common occurrence in the country. The Australian Standard 3959-2009 requires buildings in bushfire-prone areas to use compliant materials that are non-combustible. These bushfire zones are areas where there is an extremely high risk of embers and burning debris igniting combustible materials. Guttering made of COLORBOND® Steel performed best against other building materials in this extreme environment. 3. COLORBOND® Steel has a huge selection of colors and styles. Beyond protecting your home from the elements, COLORBOND® provides homeowners plenty of color choices and styles that can fit any aesthetic. With 22 designer-colour palette and advanced paint technology, COLORBOND® Steel will make your guttering look good for longer. It provides a durable baked-on finish paint technology that resists peeling, cracking and chipping. 4. COLORBOND® Steel guttering is easy to maintain. Colorbond steels only requires simple maintenance. With just a regular washing with fresh water, you can prolong its life and maintain its color for longer. For areas that are hard to reach, such as the underside of gutters, ensure that they are hosed down at least every six months. If you live in coastal areas, this should be more frequent. Always make sure that there is no build-up of dirt and debris. If fresh water do not fully remove the dirt, use a mild solution of pure soap or mild non-abrasive kitchen detergent in warm water. Using a sponge or soft cloth, gently rub the surface of the COLORBOND® Steel guttering. Easy Fall Guttering offers innovative guttering systems made from COLORBOND® Steel, the toughest and most versatile material currently in the market. 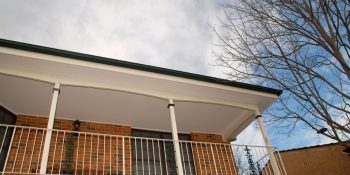 Get the benefits of Colorbond guttering for your home today. For more information, call us today on 1800 897 444.